Beautiful handcrafted handmade carpet, Dew Drop is handknotted in pure New Zealand wool and cotton material. It has an intricate design pattern which takes 4-5 months to weave. 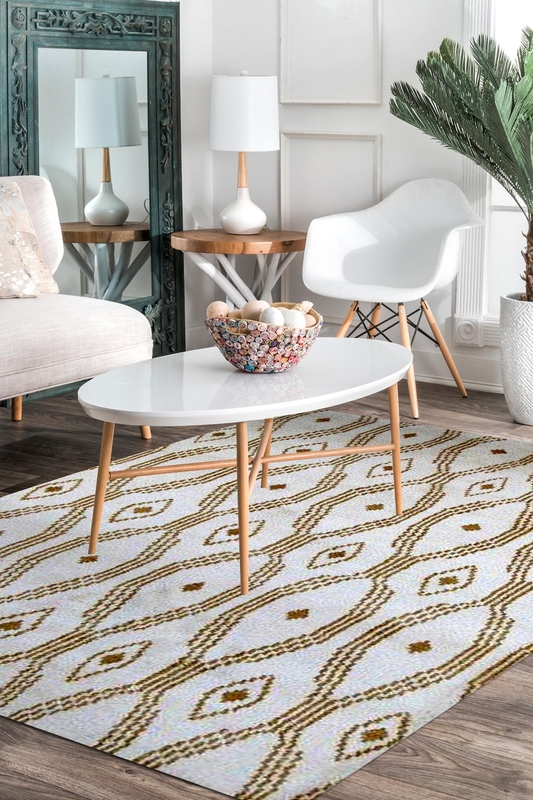 Enjoy the casual and soft look of your décor by placing this Dew Drop handknotted woolen Moroccan carpet with this 5’x 8’ ft. cozy ivory rug. Its whitish color instantly brightens up any hardwood or tile floor to create a relaxing atmosphere that allows for a wide range of versatile styling options. It has a beautiful pattern on the ground of carpet. This carpet is perfectly woven in an amazing color combination of ivory and gold.